Multi-Diagnostic Services provides an on-site service for Cat scans, as well as mammograms, MRI's, x-rays and sonograms. The CAT scan units that we use are high quality and are available at your convenience. Just like our mammograms, CAT scans reports are sent to the patients and their doctor's in ten business days, and any additional reports can be sent to the patient's primary care providers. With using our CAT scan unit, preparation is minimal using only a power plug (located on the mobile unit), and the power receptacle (located at the facility). The external dimensions of the mobile unit comply with the Federal size limits for the fifty states and Canada. 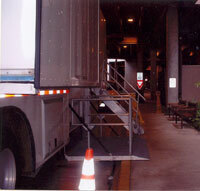 There is an on- board generator, and our mobile unit is supplied with a back-up power generator. 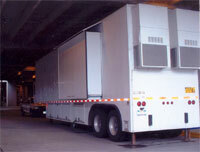 The mobile unit is equipped with telephone lines, which is equipped with two separate lines. The telephone connections are located in the driver side underbody electrical compartment. There is an accessible patient lift. Using our services for CAT scans is practical and easy to use.